The Laerdal Suction Unit LSU with Reusable Canister is a powerful, effective machine for clearing your patients' airways. The Suction Unit with Semi-Disposable Canister, however, offers a more hygienic, safer alternative to the Reusable Canister Unit. 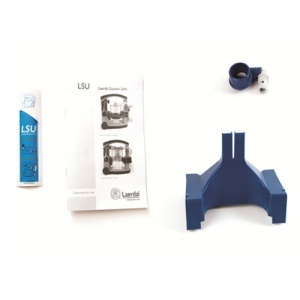 Rather than spending money on purchasing the whole Semi-Disposable Unit, the Conversion Kit for the Laerdal Suction Unit LSU with Reusable Canister allows you to switch between the units with little extra cost. Converting to the Semi-Disposable system provides you with a more hygienic alternative than the Reusable Canister Unit. This is because the suction bags can be disposed of after use to avoid contact with contaminants. Please note that the Conversion Kit does not include the Serres Canister or the Suction Bags. Please note that this conversion kit is specifically for post-2013 models of the LSU and may not be suitable for use with earlier models. 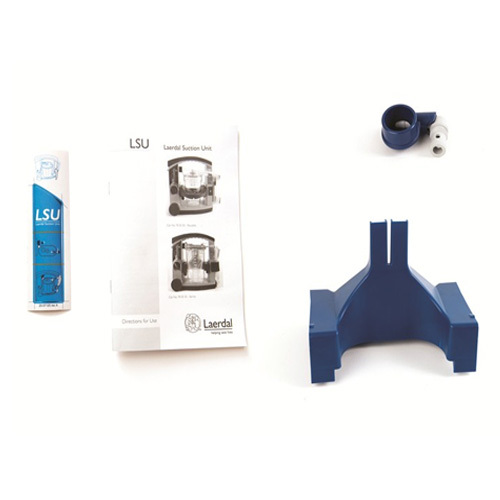 The Conversion Kit for the Laerdal Suction Unit LSU with Reusable Canister will be subject to a delivery time of 3 - 4 working days after the point of order. For more information, contact our Customer Care Team at 020 7501 0593.